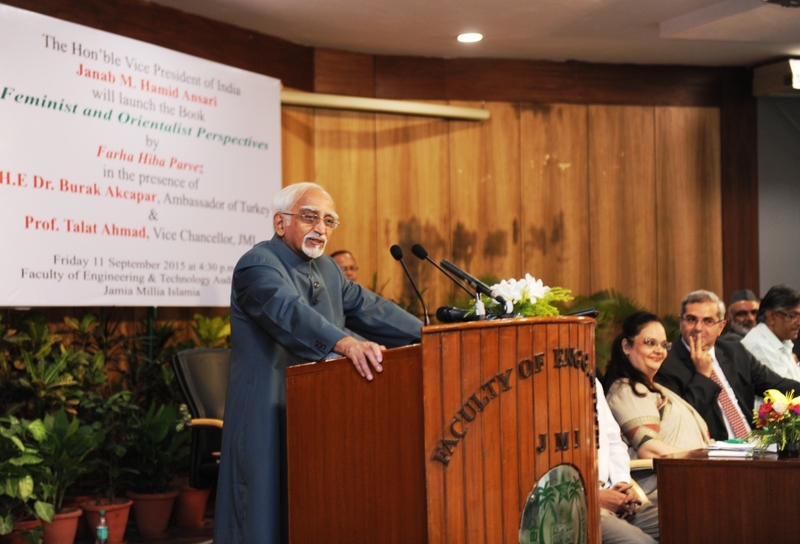 Speaking at a Book Release Function for the book titled ‘Feminist and Orientalist Perspectives’ – A Study of Lady Mary Montagu’s Turkish Embassy Letters authored by Farha Hiba Parvez and published by Viva Books Private Limited, Shri Mohammad Hamid Ansari, Vice-President of India observed that perceptions have changed about the orient but some stereotypes remain. He drew attention to Late Edward Said’s work Orientalism that critiqued the discourse of the West about the East. He observed that ‘orientalism’ for the Western world had become an ‘industry’ following a process that got unleashed 200-300 years back manifesting in the quest for exotic and barbaric. He hoped that an egalitarian global order would be in place through objective scholarship and academic practices. Earlier, H.E. Dr. Burak Akcapar, Ambassador of Turkey drew attention to western writings that had commented unfavourably on the key elements of the Turkish culture. He hoped that Indo –Turkish bilateral ties would witness new highs in the coming years. Prof. Talat Ahmad, Vice-Chancellor, Jamia Millia Islamia (JMI) thanked the Hon’ble Vice-President of India for his guidance and support to the university. He also thanked to the Turkish Ambassador for a very vibrant collaboration with Jamia Millia Islamia to promote Turkish language and culture amongst Indian students. Earlier, Prof. Mujtaba Khan welcomed the distinguished guests to the Book Release Function. Prof. A.R. Kidwai from Aligarh Muslim University also spoke on the occasion highlighting the literary merits of the book released. Mr. D.P. Sapru, representating Viva Books Limited, proposed the vote of thanks.